Here's something small that could mean something big. 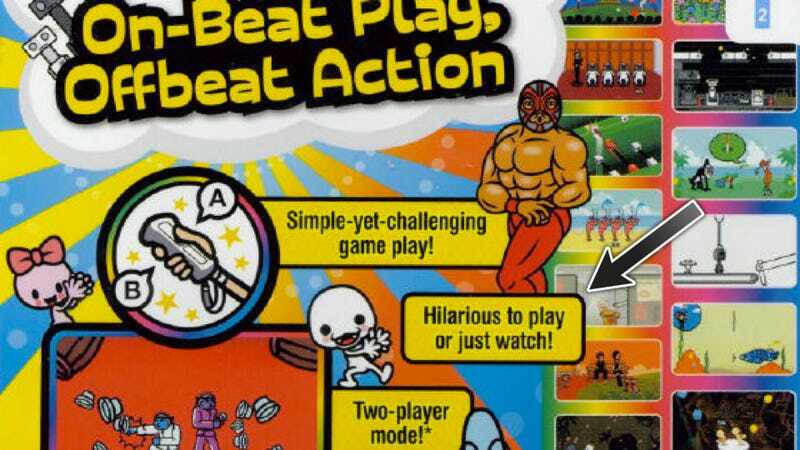 It's the back of the box for the new Wii game Rhythm Heaven Fever. Nintendo is selling the idea that the game isn't just fun to play, but that it's fun to watch. There are many games that are fun for spectators. The Grand Theft Auto games have been good crowd-pleasers. Assassin's Creeds work well, too. Uncharteds. But not everything works. Ever try to get someone to watch a Zelda for a long time? Here's what Rhythm Heaven Fever looks like, though you can't see what it looks like to watch someone play it, and that, I think is part of the fun they're talking about. Which other games are so much fun to watch from the sidelines that that could be a selling point?